Today, Wasaya Airways announced an exciting addition to their fleet, the World’s first Dash 8-100 Package Freighter (PF). The Dash 8-100PF is a converted passenger to freighter aircraft. The conversion has been accomplished by Voyageur Aviation Corp. of North Bay, Ontario. Voyageur designed the Dash 8-100PF to offer an economically sound option in the regional aircraft freight market. With a 10,000 lb payload, the aircraft moves more cargo, faster and at a lower unit cost than other freight aircraft operating in the region. “The aircraft hits a definitive sweet-spot in the regional aircraft cargo marketplace. The payload to operational cost ratio is extremely favourable,” commented Scott Tapson, President of Voyageur Aviation Corp. The official unveiling and presentation of the aircraft takes place Thursday April 20th at Voyageur Aviation Corp. in North Bay, Ontario beginning at 11:30am. The aircraft is completing final regulatory approval from Transport Canada and will be delivered to Thunder Bay in May. This is the first of two Dash 8-100PF’s Wasaya will add to their fleet this summer. Celebrating its 27th year in operation, Wasaya Airways is a 100% First Nations owned airline and the leading provider of quality air transportation services to more than 25 communities throughout Ontario, and soon Manitoba. Wasaya Airways LP is 100% First Nations owned by 12 First Nations: Bearskin Lake; Fort Severn; Kasabonika Lake; Keewaywin; Kingfisher Lake; Kitchenuhmaykoosib Inninuwug; Muskrat Dam; Nibinamik; Pikangikum; Sandy Lake; Wapekeka; and Wunnumin Lake. 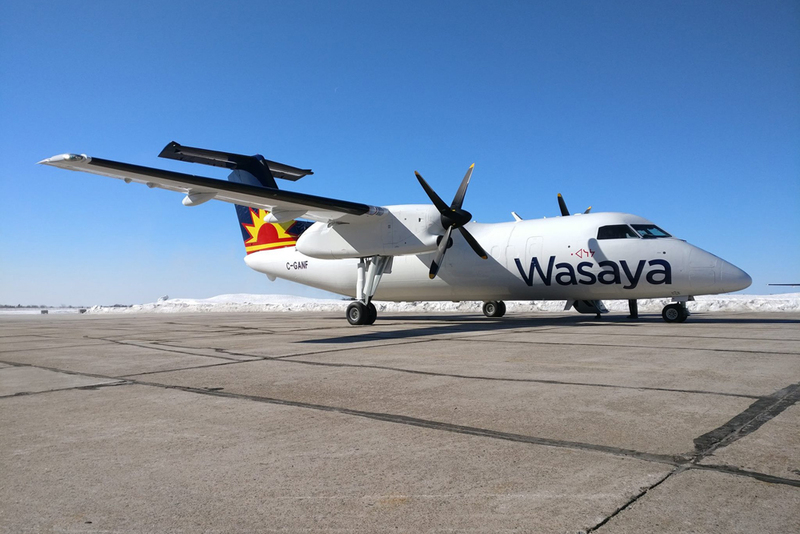 Wasaya serves 25 destinations in Northwestern Ontario with 60 daily flights and employs 350+ employees, of which over one third are First Nation.